Mr. Rohit Mehta was born in 1908, in India. He died in the 1990s after a long and fruitful life dedicated to the theosophical Cause. The 22 pp. pamphlet reproduced here was printed in 1955, in Banaras. 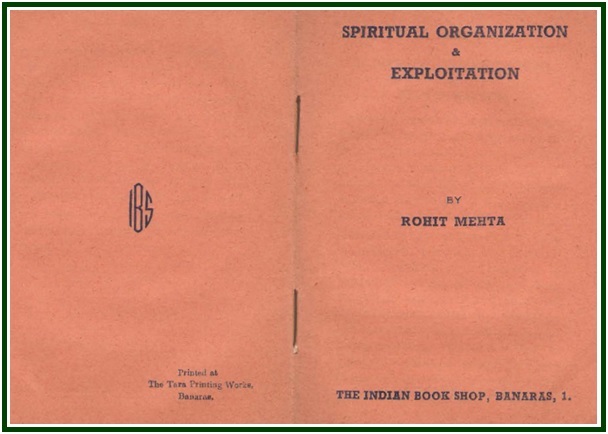 As we publish it, in June 2015, “Spiritual Organization & Exploitation” is rare and difficult to find in paper. 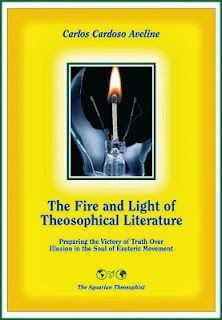 It is, however, an extremely important tool for those who want to understand the problems to be faced by the theosophical movement in the 21st century, and which could well have been solved before. In reading the essay, one must take into consideration that Mr. Rohit Mehta uses in it a few typically “Krishnamurtian” terms. One of such words is “conditioning”, and it deserves a commentary. Jiddu Krishnamurti did not realize that all life is always conditioned by the Law of Karma. He ignored for instance that every aspect of the work of the Masters of the Wisdom for mankind unfolds in strict obedience to Law and is duly conditioned by it, a fact which has been well documented in the Mahatma Letters and elsewhere. Krishnamurti students, however, insist in saying or implying that any and every form of conditioning is negative. One must consider therefore that as Mr. Rohit Mehta uses the term “conditioning”, he actually means “unduly limiting”. 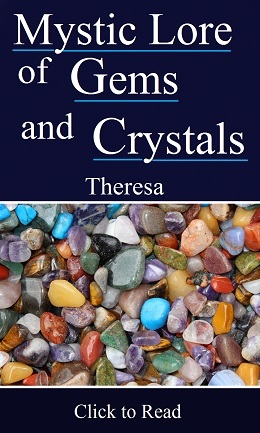 After a long introduction, the lucid, sobering pamphlet discusses from page 14 the neurotic relationship linking pseudo-leaders and would-be disciples, under the appearance of beautiful humanitarian and theosophical ideals. The lesson that entitles us to avoid such a trap involves common sense and vigilance. 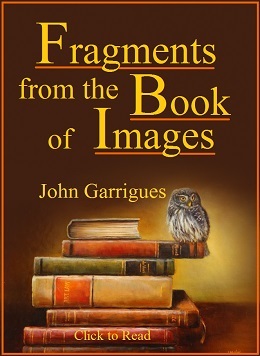 It seems indeed that whenever the pedagogical process involved in philosophy is not duly observed and discussed, both “gurus” and neophytes subconsciously try to use and manipulate each other, in pursuit of narcissistic advantages of a subtle nature. Unmasking such a process is an unavoidable task and the duty of every earnest student. In these days we often hear a statement to say that all spiritual organizations are dangerous because they are instruments of subtle exploitation. It is also suggested that membership of such organizations and the living of a truly spiritual life are utterly incompatible. Spiritual organizations are supposed to be based on authority, hierarchy and discipline. Since spiritual life is a condition of naturalness and spontaneity, and since disciplines, authorities and hierarchies are conditioning factors of psychological life, there cannot be any common ground between the two.